As our classic cars age, their components are antiquated by the ever-forward march of automotive technology. Carburetors first yielded the throne to fuel injection at the throttle body, later swallowed down to port and direct fuel injection. Distributors were retired for coil on plug. Displacement, once the shortcut to horsepower, is itself being displaced for forced induction, offering efficiency or power at a whim. All these components can be modernized, though cost is often a significant hurdle. Converting from a carburetor to fuel injection on a commonplace American V-8, for example, demands a kit that may command a price well into the thousands of dollars. Almost all of us aren't Jay Leno, so spending sums that rival the cost of an organ transplant to keep up with the tech found in the Joneses' new Kia is not feasible for most. Not all parts of our old cars need be left obsolete, however, as cheaper systems can offer considerable quality-of-life improvements when updated. Rotten rubber bushings can be swapped for durable ball bearings to tighten linkages. An air intake can receive a retrofit to remove restrictions in its ducting, clearing the engine's throat. Headlights can be brightened and beautified. Refinements for these systems tends to cost in the tens or low hundreds of dollars, yet often yield more pleasurable ownership experience, be it with greater reliability or tightened up driving. 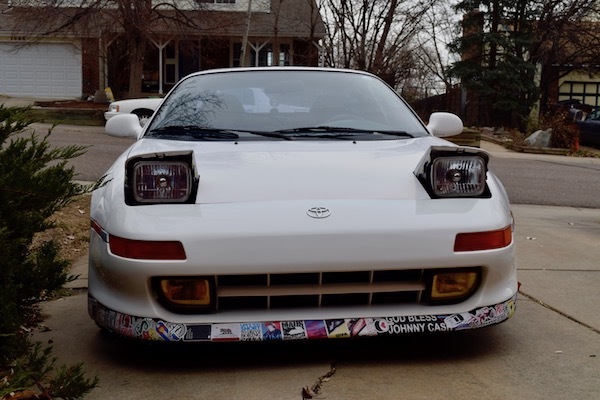 Headlights in particular are a good place to start. 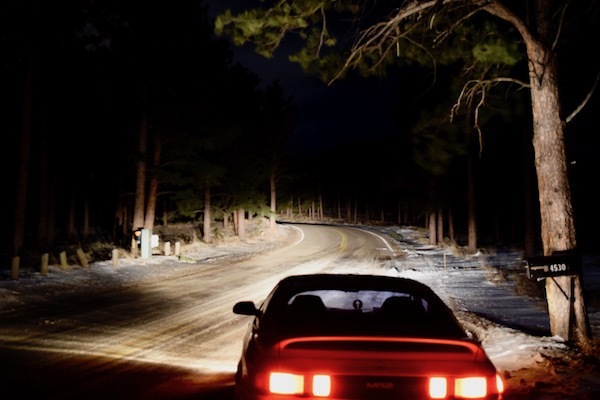 As mentioned above, aftermarket options can offer improved nighttime visibility, and in equal measure, they can refresh a car's appearance. 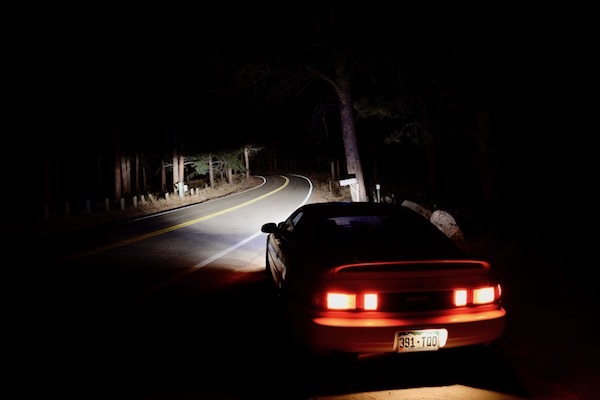 Every vehicle sold in the United States through 1984 used a sealed beam design for relative ease of service, and some manufacturers continued to design vehicles that used these lights through the 1990s. With so many of our golden oldies rolling around with lighting that one could politely refer to as period correct, the aftermarket has responded with a wealth of modernization options. The selection is bountiful enough that it's complicated the decision of what to drop your dollars on. You can find halogen, xenon, HID, LED, and in the near future, possibly even laser headlight conversions. To keep things simple, I narrowed this comparison down to the two most available types of upgraded sealed beams: Halogen and LED, at both entry level and premium-price tiers. For the comparison, I solicited the aid of manufacturers of both styles of headlights, who offered demo units for road testing, which I returned after a long-term evaluation. No freebies for meebies. All below are H4 plug compatible, though some can be adapted to fit vehicles that take other styles of bulbs. 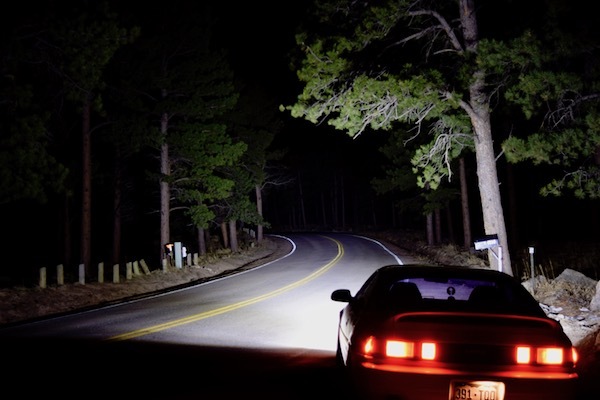 Testing methodology included use in environments ranging from well-lit interstates and cities to blacked-out backroads in the Rocky Mountains, where quality headlights can mean the difference between catching a deer in your beams and bagging said buck with your bumper. To prove that the installation of aftermarket lights is doable for even the mechanically hopeless among us (yours truly), I performed the swaps myself, only once enlisting the help of my mechanic friend Zach to get the circuitry for the LED testing to work. Note that to get the most out of any new headlights, they must be re-aimed using the adjustment screws on your vehicle, and installing upgrades without adjusting them will yield poorer lighting than before. Let us now enlighten ourselves on sealed beams. The Wagner product you see above is almost a universal sight among beater cars of its era. It and its ilk can be had for one Alexander Hamilton or so at national parts chains, where they are pulled off shelves that store them by the dozen. They are assembled from a plug, metal housing, a lens, and a glass backing, bonded to the lens to prevent them from being serviced; they are meant to be disposed of when they fail. Because this product is what was in use on my car before testing began, they were used as the control variable, the baseline against which aftermarket upgrades would be compared. How a car looks is one of the most important factors that contribute to what we think of it. 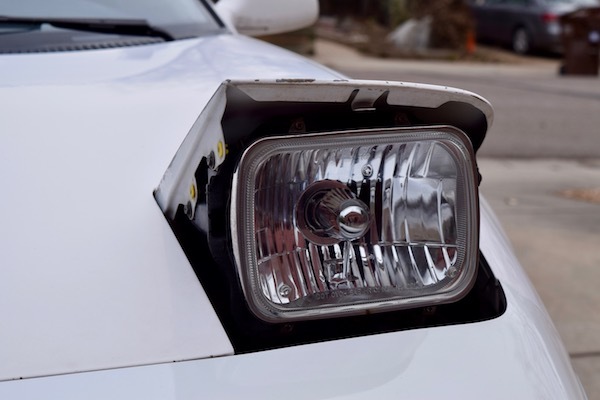 Headlights make up the eyes in the face of a car, and with the emphasis we place on how our own eyes look, beautifying ourselves with trendy frames or colors of eyeliner, we cannot neglect headlights in considering a car's beauty or lack thereof. Wagner, this light's manufacturer, put no effort into making this product pretty; they are purely utilitarian, like the rest of the options on the budget headlight market. They are meant to adequately light the road, and do so on a budget. For that reason, I liken them to thick-lensed, wire-framed glasses for old men. Said old men can see the world around them just fine, but the glasses convey a disinterest in keeping up appearances. All the refractive elements in this product's lens say similar: I am maintaining my car's functionality, but not improving it. Low beams left, brights right. Function, they do. Adequately, and little more. These lights are built to a cost, and their warm, incandescent glow only travels so far down the road. Low beams light your way, and the high beams, some of the scenery along with it. Wagner can be given credit for wasting little of the light its bulb produces, but little more. Some aftermarket sealed beams are not as sealed as their names imply; some are meant to have a degree of serviceability. The unit I tested is by a company called Vision X, and instead of entombing its bulb in a glass and gasket seal, a rubber boot and a metal prong hold an interchangeable bulb inside. Installation of the bulb proved finicky. Off-brand replacement bulbs may come in cheaper than either the supplied Vison X bulbs or a generic budget sealed beam, which makes saving money in the long run possible, provided the housing itself can take the rigors of road use—the few months I tested it in offered little challenge to its durability, even on Colorado's gravelly roads, infamous for chipping paint and pitting windshields. Its metal backing and polycarbonate lens seem up to the job of protecting its innards, and because the lens is only a shield for the reflective elements inside the housing, chips or cracks are less likely to affect lighting quality, even if damage is sustained. Previous generic sealed beams I've owned saw noticeable dips in brightness on taking damage from errant rocks, so the long-term value of more costly halogen lights will be determined in part by the ability to shrug off impacts. 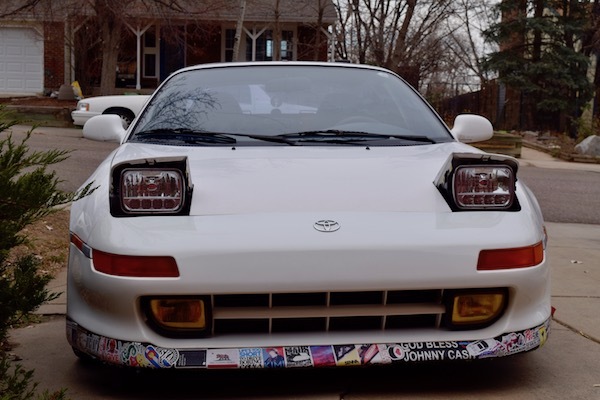 Beauty may be in the eye of the beholder, but many have similar standards of beauty, and for that reason, I believe we can agree that these specific headlights are more attractive than a generic replacement. The improvement was noticeable enough for me to justify leaving my headlights popped up while parked, rather than retracted. If we think our cars look good, we strut their stuff, after all. As far as effective lighting goes, the premium versus budget battle here is rather one-sided. 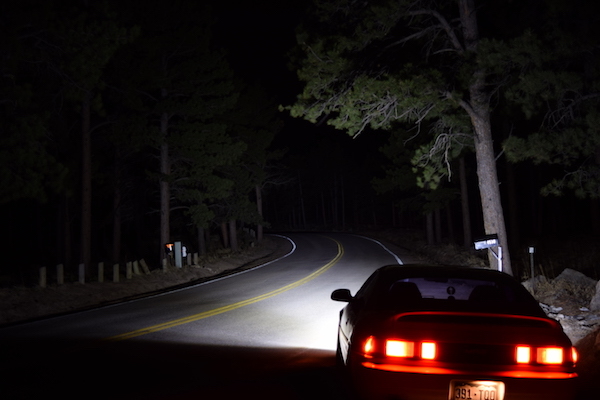 The premium halogens I tested produced a colder light color, though one less so than either of the LED units tested, and wasted less light on close-range peripheral vision, throwing its brighter beam further down the road after being aimed correctly. Both low- and high-dollar options produced a similar, inverted trapezoidal scatter pattern, though the premium options spread light more evenly across this pattern, while the cheaper lights show a noticeable focus on a bright spot in the center. On a subjective note, blasting through the mountains with the brights on cast a light reminiscent of the color seen in onboard films from classic rallies, making me feel—if only for a moment—like I was driving a Lancia through the Alps. The difference remains discernible in partially lit areas, emphasizing the difference between how much light is gained with better halogen projectors—weaker lighting almost disappears under streetlights. Street signs also seem to reflect better in colder light than in warm, though it may just be my imagination. Budget top, premium bottom, alternating between low and high beams every 10 seconds. Though the cost of entry for high-end halogen lights may be significantly steeper than just replacing your generic lights when they expire, the safety, aesthetic, and possible long-term cost gains (even if slim) may offset the expense. 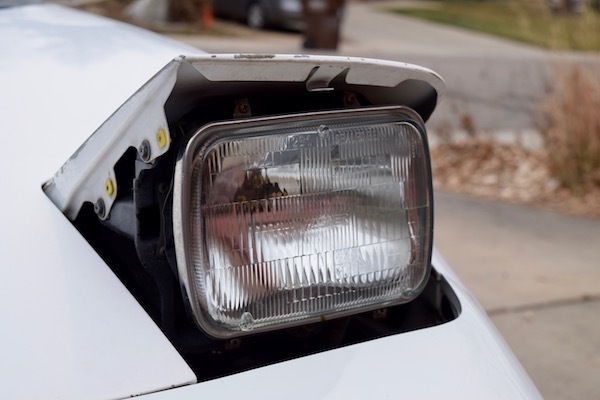 Halogen bulbs, commonplace for decades, may already occupy your old car's eye sockets. They are sometimes dim relative to their competition, represented in this case by LEDs. LEDs produce brighter, whiter light, but tend to have a higher cost of entry, and their sensitivity to circuit polarity means they're not always plug-and-play with factory wiring systems, necessitating minor modification to your car's wiring. The vehicle I used as a testbed had circuitry that reversed the flow of electricity between low and high beams, requiring two aftermarket modules ($20 apiece) to keep the current LED-friendly. A side effect of getting the LEDs working, however, was that the dashboard's high beam light no longer lit with the high beams, resulting in multiple instances of driving around unaware of my active high beams. Oops. As for the cheap LED option itself, conversion to fit my vehicle came in at a price approaching that of high-end halogen products, making them price competitors. No branding of any kind is visible on the housing, packaging, or receipt that arrived with these lights, and combined with their mediocre build quality, I'm convinced they're Chinese in origin. Their shallow design made installation more of a pig than any other light tested, and the lack of direction makes upside-down placement likely. I struggled to join plugs that would rather come apart than do their job, and when it was time to dismount the lights, I found their cables snagged in miscellaneous parts of the flip-up mechanism due to their offset design. I had to break them to get them out, killing my hopes of returning these, after having paid for them myself. Things were worse still on the road. Installation completes the look of a household pest; the clustered lighting elements resemble the eye of a fruit fly, making them trypophobia triggers when not powered. 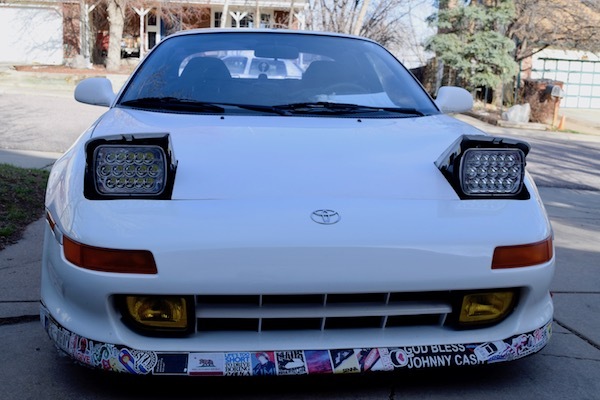 The photos used to promote these cheap LEDs online suggests they're marketed and sold to the those who believe eBay aftermarket parts are flat upgrades from factory parts. You know, the kind of person who thinks Alibaba is full of real Rolexes. As any who have used these lights can attest, their lighting capabilities are pathetic. The photos above were taken on a moonless night, and despite that advantage, they failed to illuminate as far as any of their competition. Turning on the brights helps little, and if anything, serves to light the tree above my car more than anything. I attribute their poor long-range performance to a total lack of focus, and the design's tendency to waste light by scattering it everywhere, regardless of how much you needs to see what lies above you, rather than down the road. At times, they throw so much light onto signs that they can blind you, a problem which presented itself with no other light tested. 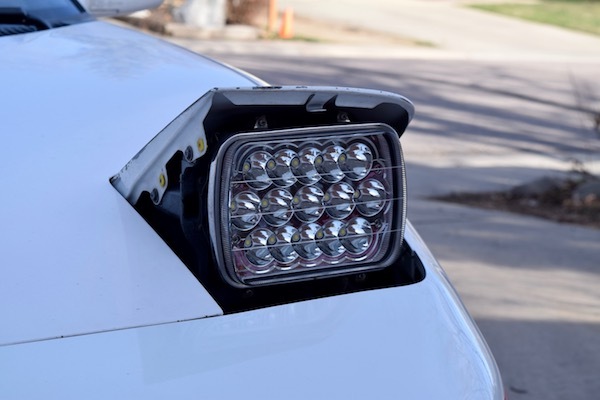 I suspect these lights are also DOT noncompliant, making them ticket bait for any users of these lights with less taste than officers of the law with an understanding of legal aftermarket equipment. Coming in at the most expensive set of lights tested by far, Grote had to justify their product's cost with performance, and I daresay they did. Each light came with detailed installation instructions for the hapless newbie, as well as rewiring packs to adapt them to plug types beyond H4. Unlike the Chinese product, it's supremely obvious which direction these lights are to be mounted in, and if you find your logo upside down after mounting, it's time to consider letting a child do the job for you. Likewise, build quality is as you would expect from headlights that cost as much as you honeymoon's room service, and this product's aluminum housing, despite being outwardly bulkier, makes them weigh less than the cheap option. The company's customer support proved invaluable in troubleshooting my difficulties with installation, and directed me to the polarity fix kits that allowed LEDs to be tested at all. As with the nicer halogen option, I found myself leaving headlights flipped up even while off, which I cannot say for the Chinese lights, which I would rather nobody other than you, dear reader, knows I even installed in my car. 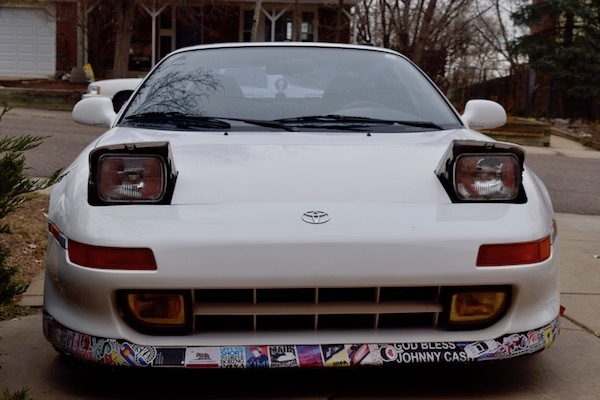 Little more can be said, as I would rather not pick a favorite between them, being pleased with the way either premium option refreshed the face of a quarter-century-old Toyota. What I can speak decisively to is how well expensive LEDs light the road compared to their cheaper cousins. The trapezoidal scatter pattern returns (as opposed to the shapeless scatter of the Chinese lights), and though narrow, they effectively light the road and shoulder without blinding the driver with reflection off signs, or other drivers on the road, with errant light. Aiming is made easy by a pair of brighter, square beams at the center of each light, and serves to cast illumination far down the road, even without high beams on. The high beams themselves extend the pattern some, as with all lights, but also increases the intensity with which the hard-edged trapezoid is lit. The square in the center brightens up, too, aiding vision further down the road. I cannot say if this design is standard across premium manufacturers, but the vast chasm between cheap and expensive convinces me that few are willing to make a product comparable to the Chinese option, lest their product be likened to it. Don't be fooled by an outward appearance of brightness from the Chinese units. 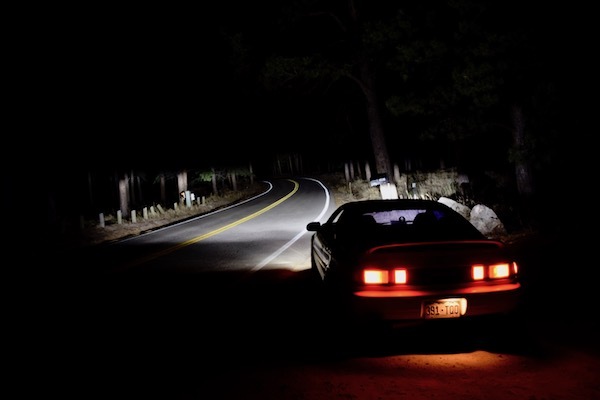 Remember that they were photographed on a moonless night, and that most of their light is wasted on the ten feet of asphalt nearest the car. Nicer LEDs keep light where it is needed: In the distance, where one's eyes ought to be too. 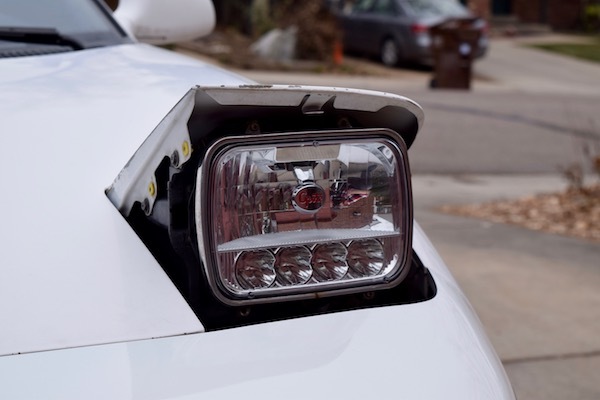 With two styles of headlight tested, at both ends of the price spectrum, the question remains: Which sealed beam is best? Is one style of light superior? Does more money spent mean better lighting? To answer the money question, look only to the Chinese LEDs to know that money itself is irrelevant to how nice a product you receive. They are as expensive as a high-end halogen system, but were outperformed even by budget halogen lights, making them a waste of money and the best option for being disowned by one's parents. 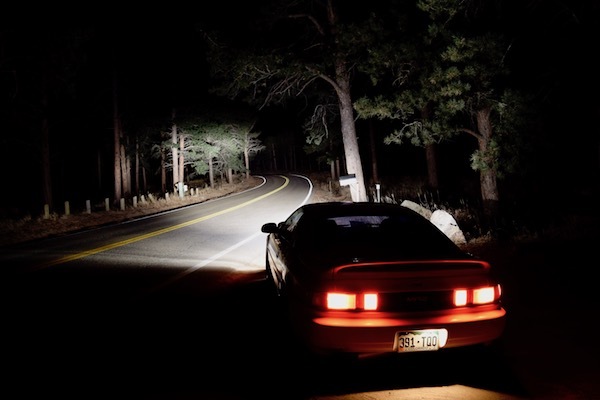 As basic halogens beat bad LEDs, they remain a passable option for classic car owners on a budget. Some may swing toward installing bad lighting for aesthetics, but I would ask them this: Would you rather look a fool or be one? Were I a trust fund baby, I'm certain that nicer LEDs would remain installed in my car, but I cannot reasonably justify more than three months' insurance on a pair of headlights, so they seem the best option for drivers wealthier than me. Once my basic halogens—which I reverted to in a heartbeat after yanking the nasty Chinese LEDs from my car—burn out, I may find myself investing in a pair of better halogens. That may involve shopping around, or going back to that which I am familiar. My recommendation to other classic car owners is to upgrade, but be discerning with your purchases. Know that if it comes with no branding or warranty, it's probably garbage. If it feels capable of deflecting an artillery shell and lights your way like the north star, it may be worth your hard-earned cash. The new technology includes cameras which see the road and one million pixels creating the optimal lighting for a driver.